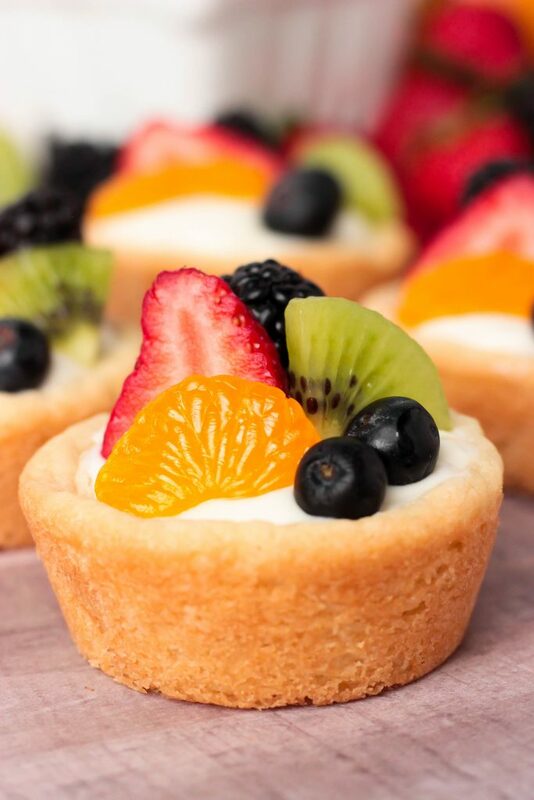 Homemade sugar cookie cookie cups filled with a cream cheese filling and topped with fresh summer fruit. 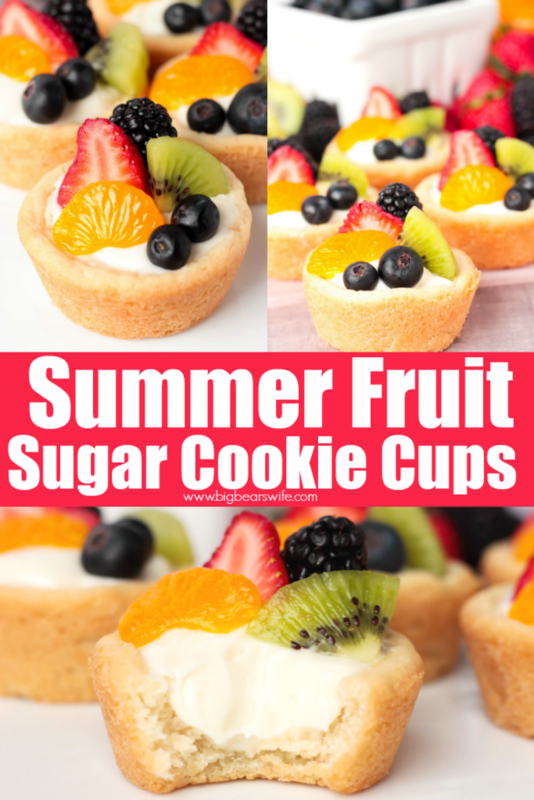 These Summer Fruit Sugar Cookie Cups are perfect for cookouts and weekend picnics. My love of cookie cups run deep and it goes straight into Summer with these fun and tasty Summer Fruit Sugar Cookie Cups! I think I love these so much because they make me think of the summer days that we spend by the ocean or pool, snacking on fresh summer fruits. Oh those days are some of my favorites! Speaking of the beach, ahhh I can’t wait to take little J to the beach this year! We probably won’t get to go as much as we normally go this year but I know we will make it to the coast at least once. Ok sorry, I got distracted a bit with the thought of my little bear with his little beach hat and toys haha. It’s it funny how something as simple as a summer fruit dessert can make you jump off track and start thinking of summer vacations and the breeze of the ocean! Oh my, sorry y’all. haha. 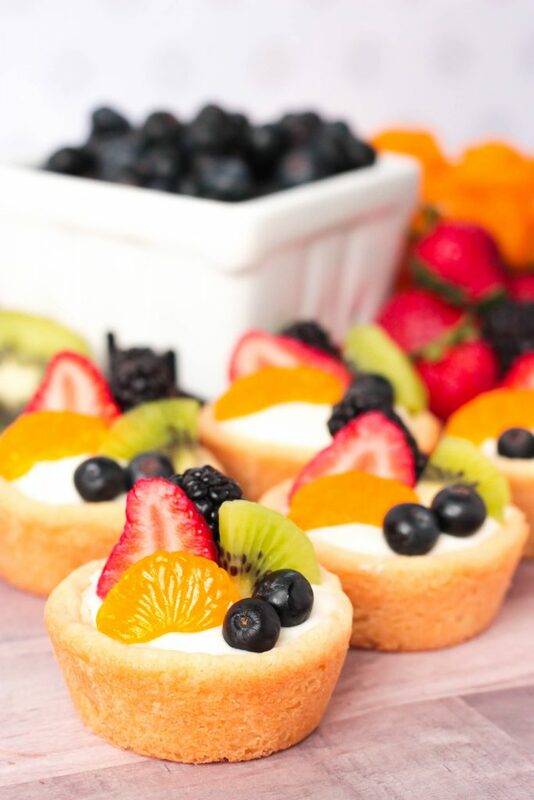 Back to these fun Summer Fruit Sugar Cookie Cups! 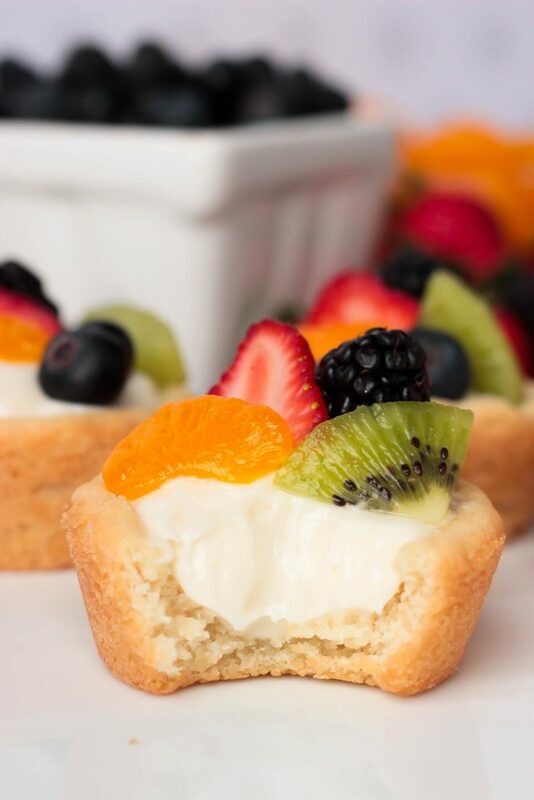 I picked my favorite fruits to top these fruit cookie cups but if you have different favorites, please use those! That’s whats great about this recipe! You can pick your favorite fruits, change up the fruit flavor combo and make them your own! These cookie cups are so easy to make and easy to customize! If you make these, let me know! 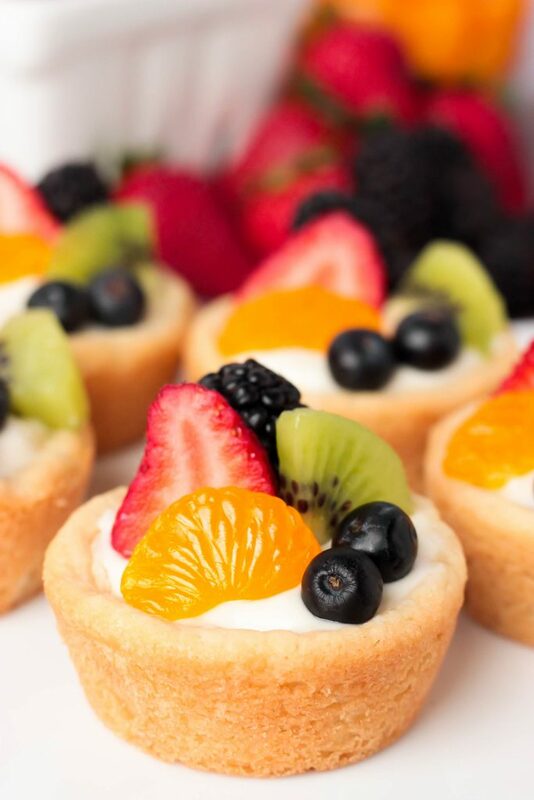 What if your favorite fruit combo that you’d use on your Summer Fruit Sugar Cookie Cups?